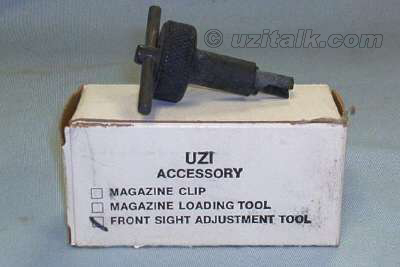 There are two different types of sights available on the UZI and each one requires a different sight adjustment tool. The rear sight on the Model A style sight is not adjustable. The front sight is adjustable for both windage and elevation. 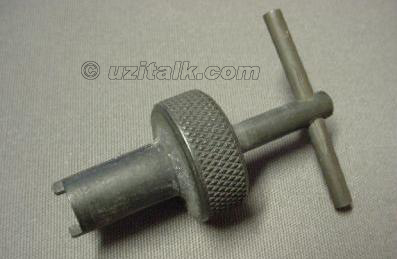 The standard Model A sight adjustment tool looks like this. 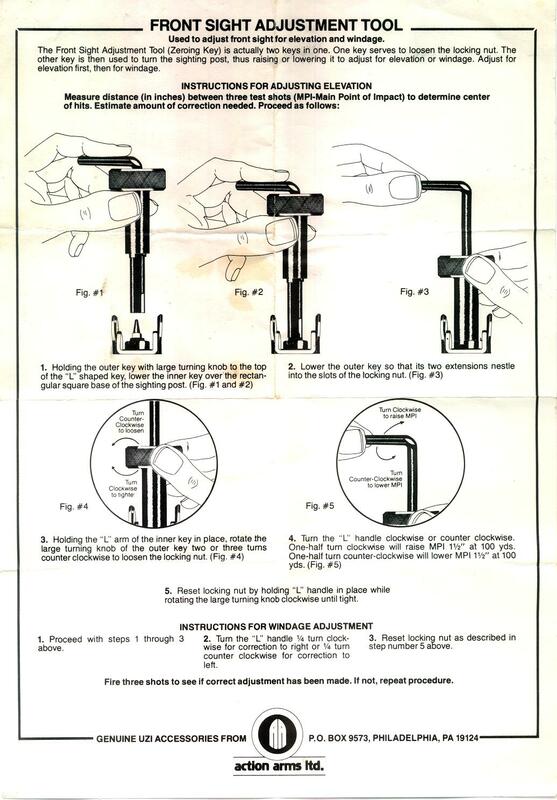 Instructions for use of this sight tool can be seen here. 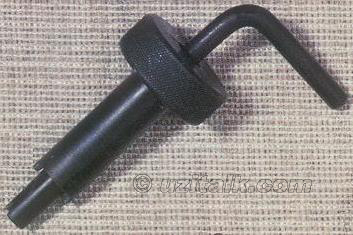 The "T" handle version was packaged and sold by Action Arms, but was not manufactured by IMI. The Model B came with a sight adjustment tool. It could also be purchased separately as an accessory from Action Arms. The Model B sight tool is flat and is used for adjusting both the front sight (elevation) and the rear sight (windage). 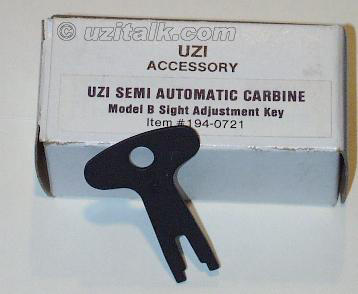 This same sight tool is used on the Mini UZI, the Micro UZI and the UZI Pistol. UZI Talk member Herr-Pear made an excellent brass catcher for the UZI. It can be put on or off the gun in seconds without any tools and is extremely reliable. The shape of the chute and the collection bag eliminate any chance of empties bouncing back into the action. Unfortunately these brass catchers are no longer available.